The Pincho Factory is recognized in the South Florida area for its fresh all-beef burgers. 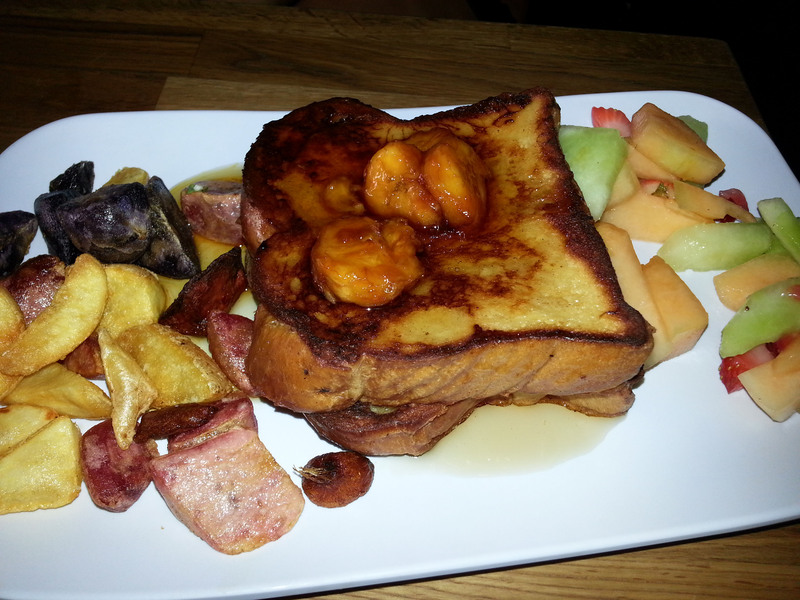 I didn’t try one, but Pincho deserves accolades for its brunch offerings. These include inventive twists on traditional morning fare: Nutella Waffle, Banana Bread French Toast (above), Red Velvet Pancakes, Steak and Eggs, and a Bacon Wrapped Omelet. 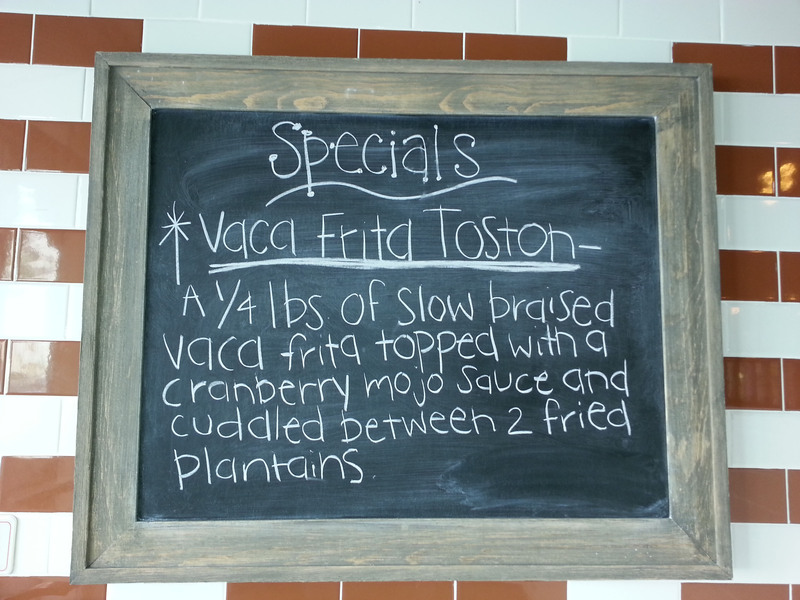 A handful of sandwiches are available, as was a special: Vaca Frita Toston, which was a spin on the Cuban Ropa Vieja. Here’s the description on the chalkboard at the place-your-order counter. Cuddled is not the word I would have used, but I was hooked at slow braised. 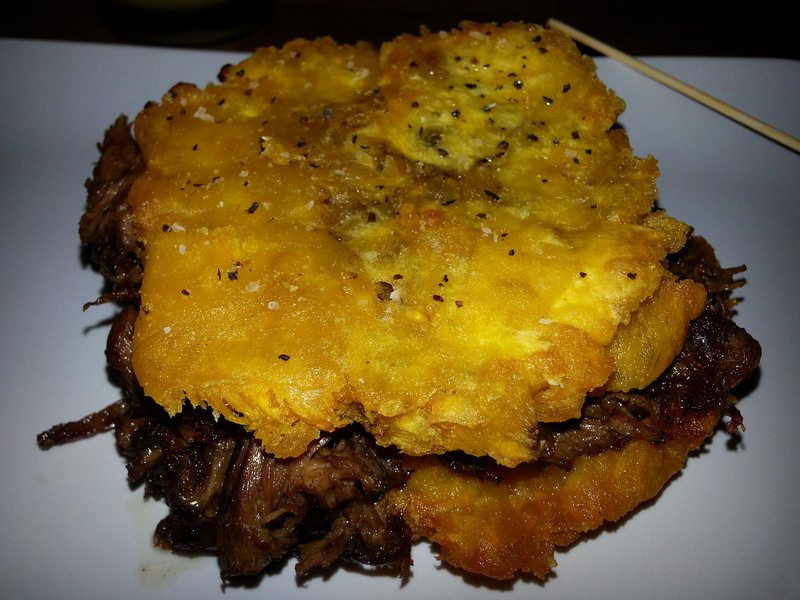 The shredded beef, which practically melted in my mouth, was dressed with a subtle but tangy cranberry sauce and nestled between hamburger bun size fried plantains (below). It was an unusual but successful combination of flavor and texture. The four-egg omelet boasted 12 slices of bacon sounds like an invitation to a cardiac arrest. 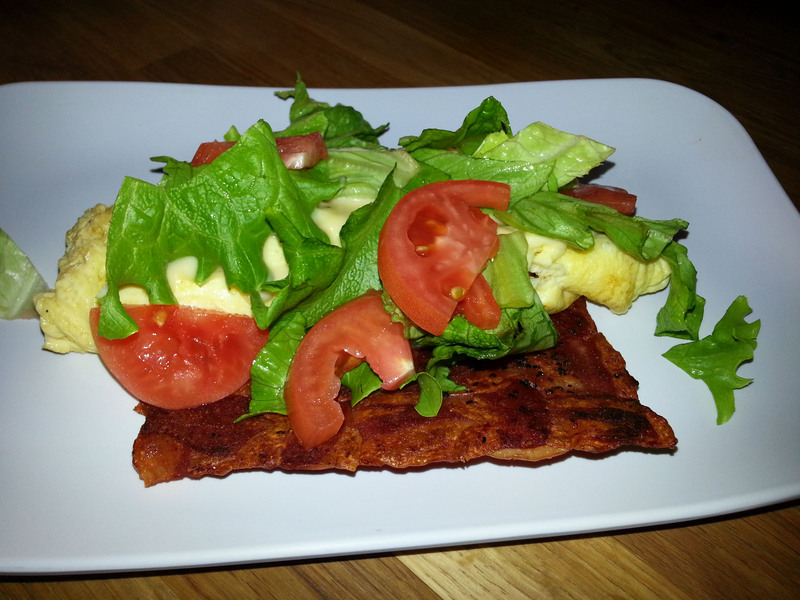 A bacon basket effect was created by weaving the pieces together for the omelet, which was covered with lettuce and tomato. At least it looked somewhat healthy.